There are many changes in the Staffs County League for next season, but the structure has remained the same with the Premier, Division One and Regional Division Twos – North and South. The Staffordshire County League sits at step seven of the non league pyramid. It is classed in the 7A category, the highest classification of step seven. The Premier division gains an extra club this season, taking the total to 18. No clubs were promoted to a step six league, but MMU were relegated. Also leaving were Norton United Reserves, due to the sad affairs at Community Drive. Newcastle Town Reserves and Brereton Social depart the league also. Coming in are Uttoxeter Town, who have elected to step back down from the Midland League, after one season. Four teams were promoted from League one – Leek CSOB, Knypersley Victoria, Silverdale Athletic and Cheadle South Moorlands United. In Division One we lose the four promoted teams mentioned above. Betley are relegated to Division Two. Featherstone, Norton United Thirds and Uttoxeter Town Reserves withdraw. MMU are relegated from the Premier. Promoted are Cheadle Town Reserves, Longton Area FC (fka LA FC), Market Drayton Tigers, Whittington FC and Wolverhampton Sporting Community U21s. A reformed Stone Dominoes come back and Walsall Phoenix move over from the Birmingham AFA. Division Two North sees Alsager’s Bank, Betley Reserves and Knypersley Reserves depart. Promoted to division one are Longton Area FC and Market Drayton Tigers. Betley are relegated from division one. New to the division are Audley Reserves, Chesterton, Hardman Development Centre, Keele University Reserves and AFC Wetley Victoria. Florence Reserves have become Norton FC. Division Two South sees Hawkins Sports U21s and Real Medina depart. Cheadle Reserves, Whittington and Wolverhampton Sporting Community U21s are promoted to Division One. 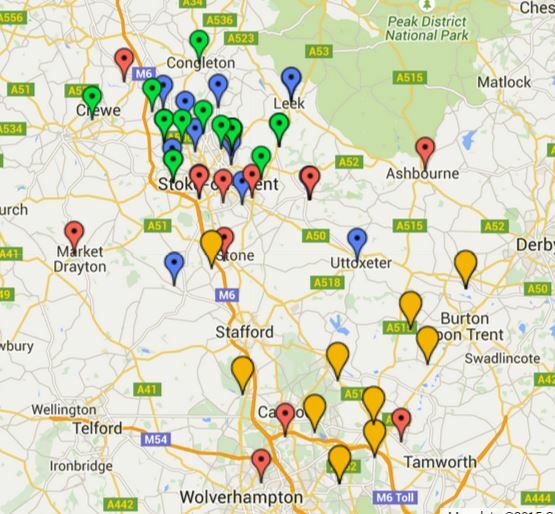 New to the league are Acorn Albion, the reserve side of Barton United of the Midland League 3 and the reserve side of Shenstone Pathfinder, from the WMRL One. 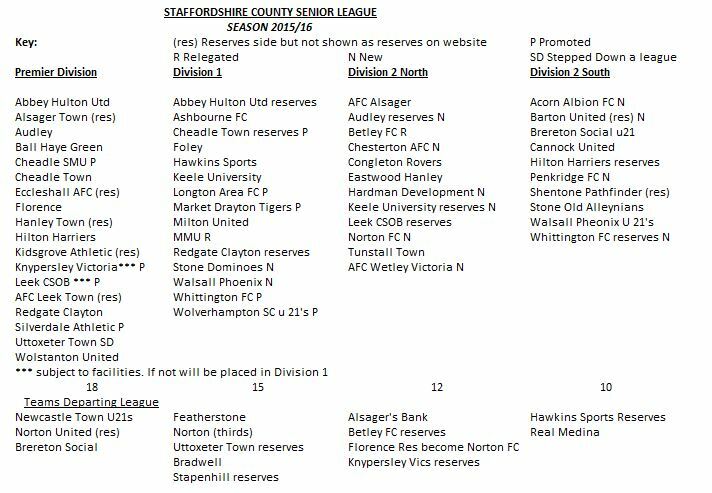 Whittington have entered a reserves team and Penkridge Town also join the division. 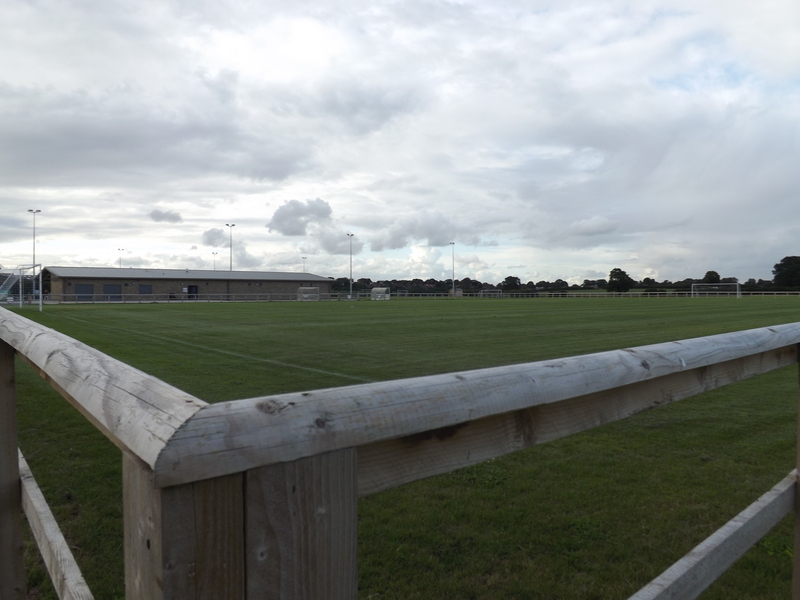 MMU have moved back to the Sandbach Football Development Centre, home of Cheshire League side Sandbach United; moving from the Cumberland Arena in Crewe. 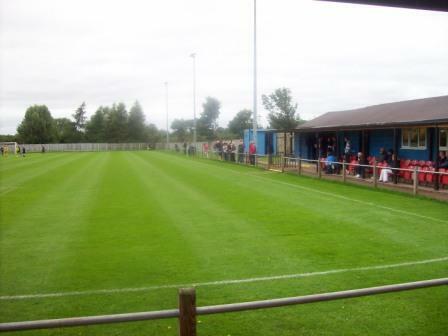 AFC Alsager are not sharing with Alsager Town, but playing at Dunnocksfold Road. Market Drayton Tigers play at the Greenfields complex but on a satellite pitch without floodlights. Longton Area FC were known last year as The LA FC. While Brereton Social first team have departed the league their U21 side are in Division Two South. Stone Dominoes have re-entered the Staffs County League at Division One. Eastwood Hanley have moved from Longton Rugby Club to the Hardman Development Centre in Milton, S-O-T.
Longton Harriers’ old ground at Malthouse Lane is being used again, after a fallow season, by the newly formed club, AFC Wetley Victoria. 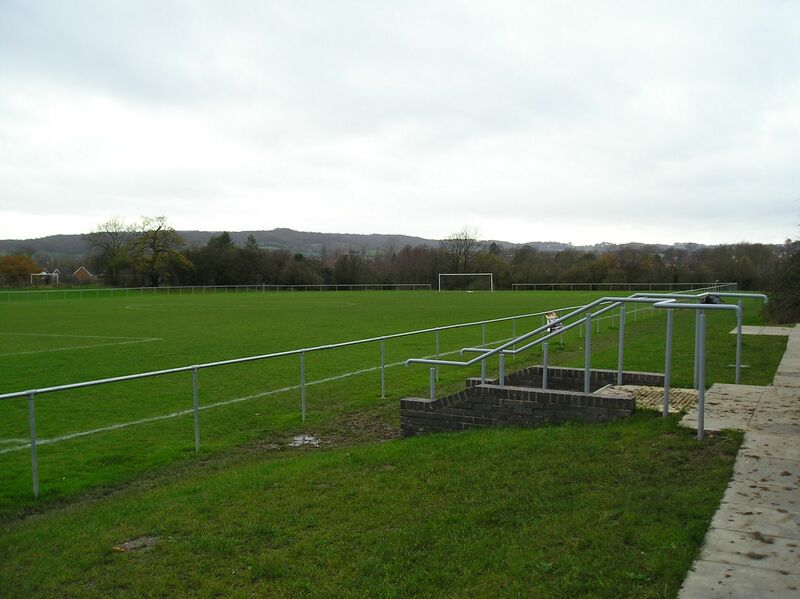 The Hardman Development Centre is now home to three clubs in the League – Milton United, Eastwood Hanley and newly developed eponymous Hardman Development FC. 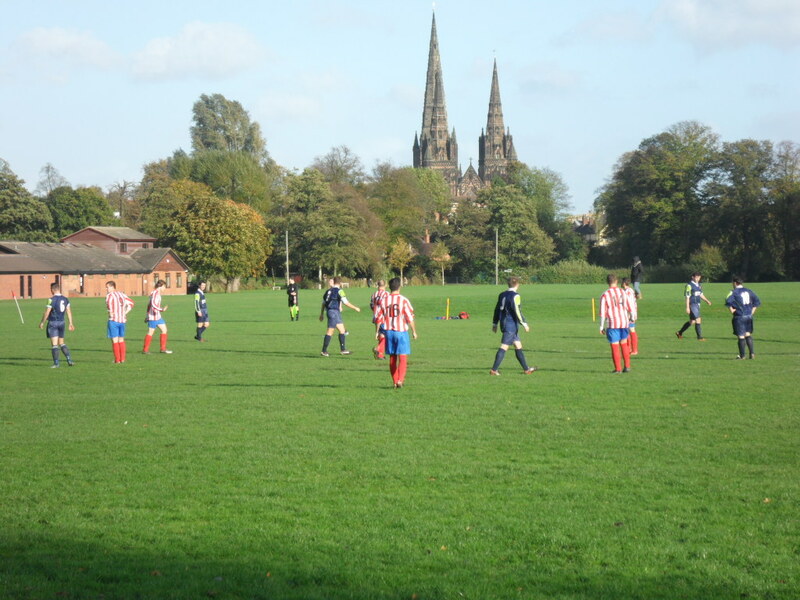 Whittington FC have moved from to Beacon Park from Whittington Barracks in Chester Road, both in Lichfield, but still site the latter as an alternative ground, so check before going. (Due to sharing at first teams higher up the non league pyramid) – AFC Hanley Town (reserves), AFC Leek Town (reserves), Alsager Town Reserves, Eccleshall Reserves, Kidsgrove Athletic Reserves. Leek CSOB, Audley, Kynpersley Victoria, Ball Haye Green, Florence, Wolstanton United, Foley, Keele University and Tunstall Town. It’s worth mentioning that the Malthouse Lane ground of Wetley Victoria is worth doing while it’s a Staffs County League venue as it is not used every year. Fully railed ground but no stands or terracing. It does have a good raised bank on one long side for elevated views. Ground: Abbey Lane, Bucknall, Stoke-on-Trent ST2 8AU (Shared with Hanley Town, NWCL One), in the North East of Stoke-on-Trent. Fully railed ground – two stands, one Atcost at near side and bus shelter style cover on opposite side. Floodlights. Fully railed ground with one covered long stand, with benches and chairs. Ground: Law Training Stadium, Wood Park, Alsager ST7 2DP (Shared with Alsager Town, NWCL Premier). 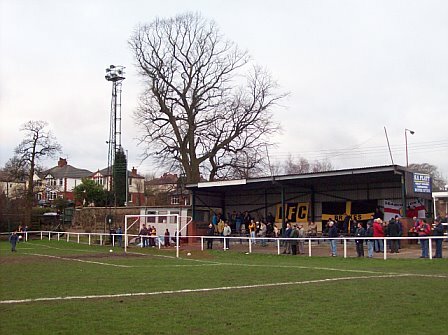 Seated stand, covered terrace and floodlights. Railed pitch, no stands, no floodlights, nice venue though. Stands and seating on all four sides, floodlights. Small stand behind goal, thin terrace along side, ground shared with cricket club. Floodlights. Ground: Clayton Community Centre, Northwood Lane, Clayton, ST5 4BN. Fully railed pitch, no stands, no floodlights. Part railed pitch, nice new clubhouse, looks like more development is imminent. Railed pitch, Atcost stand and floodlights. Lovely pavillion site shared with cricket. Ground: Bradwell Community Centre, Riceyman Road, Bradwell, Newcastle-under-Lyme, ST5 8LD Fully railed pitch, some banking, no floodlights. One of the best grounds in the Staffs County League, small quirky stand in the corner, raised banks and good views. 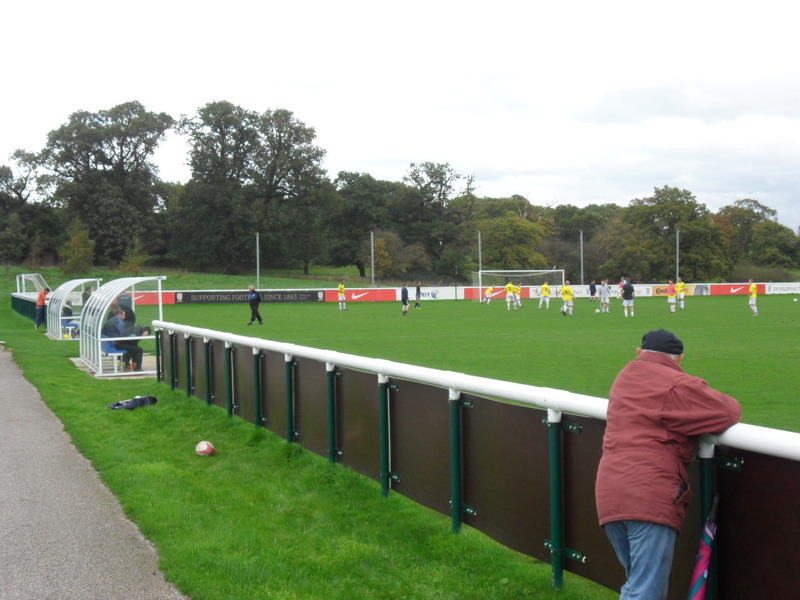 Ground: Sports Centre, Keele University, ST5 5BD Railed pitch, no stand, no floodlights, grass banking behind goal. Covered seating and two stands plus terracing, floodlights. Ground: Sandyford Cricket Club, Shelford Road, Stoke-on-Trent, ST6 5LA. Great ground, small stand fully railed and elevated views. 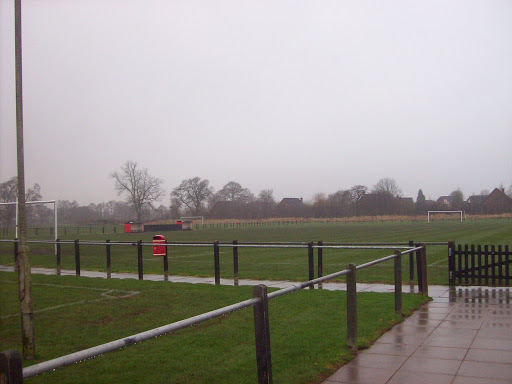 This entry was posted in Travelog and tagged Groundhopping, Non-League, Staffs County League, Staffs County Senior League. Bookmark the permalink. 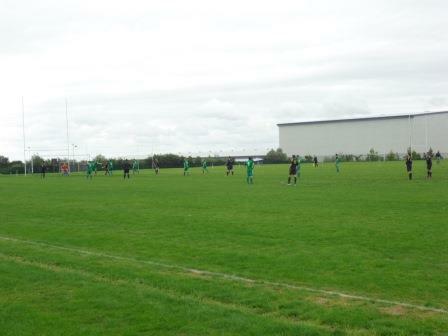 According to the Staffs County League website from October 1st 2015 Division 2 North newcomers AFC Wetley Victoria will play all of their home fixtures at Sandyford Cricket Club, Shelford Road, Stoke-on-Trent. After reading that news I went to watch their Division One Cup tie with Brereton Social Reserves today at Malthouse Fields. The Vics came from 0:2 down at HT to win 3:2. The ground has the most delightfully ramshackle dugouts you’ll ever see! 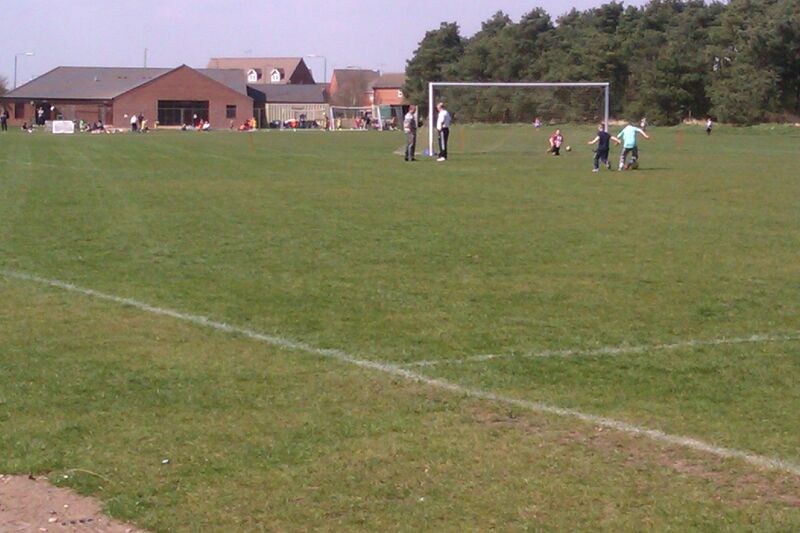 There are a number of pitches there and they are using the one that is almost the furthest from the changing rooms! Thanks for dropping by again. So are Wetley Victoria still playing at Malthouse Fields or is it just the reserves? I’ll have to check those dugouts out! Hi again, Wetley Victoria first team will cease playing at Malthouse Fields and play all their home matches at Sandyford from the 1st October. I’m not aware of them having a reserve side. I do know Wetley Victoria run a Sunday League side so maybe they will continue to play at Malthouse Fields otherwise the ground will be disused again. I have to say that you can really tell that the Malthouse Fields site wasn’t in use much last season, it is all looking a bit untidy to be honest. The nets that stopped balls going onto the busy main road have gone, though the ‘lamp posts’ they used to be fastened to are still in place. You’ll like the dugouts and the tattered corner flags (they reminded me of pirate flags for some reason). Plus of course local celebrity Neil ‘Nello’ Baldwin is their club president and was on the side-lines with the manager. One other thing I wanted to mention to you is that there is another new team playing in Division Two South called Eastfield FC. I know nothing about them I’m afraid. But I do know that there is a team based in Wolverhampton of that name so they may be connected to them. Wetley Victoria are now the re-formed Goldenhill Wanderers, and now play all their home games at Sandyford cricket club.